When you wake up on Saturday morning in the mood for speed over precision and descending over climbs, pull on the G-Form Pro-X Knee-shin Guard, grab your pass, and get to it. 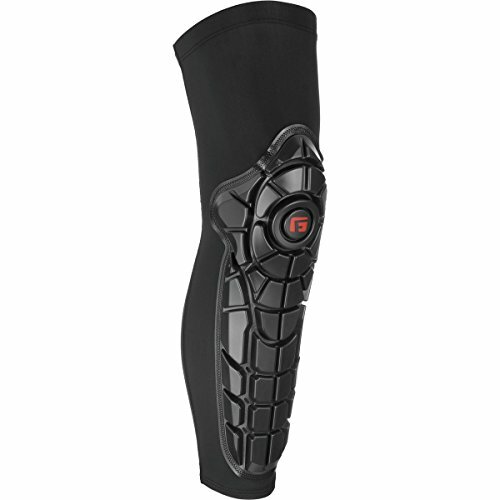 As you spy dust coating other riders' gear from the lift line, you'll be glad to have this flexible CE 1621-certified shin guard and its RPT pads keeping your skin where you want it on washed out corners and loose trails. Even when you make it easily through rutted out switchbacks and land your jumps exactly as planned, an unexpected pedal bash can be sneaky and brutal--unless you're wearing the Pro-X, in which case you'll barely feel it at all. If you have any questions about this product by G-Form, contact us by completing and submitting the form below. If you are looking for a specif part number, please include it with your message.